Every aspect of the transaction was handled very professionally and it was a very pleasant experience. Both Michael and Jim, who handled the financing, were great. 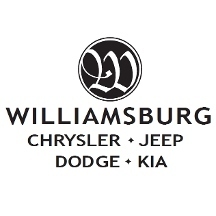 My car buying experience at Williamsburg Chrysler was amazing! Mike Dye was great with helping me purchase my new vehicle. I am very satisfied with my purchase.